LAWS4103 Australian Contract Law Assignment | 20% Dis. In Australia there are no fixed guidelines on the contract law but the same is based on the common law and the same had developed in years by the judgments of courts. The contract is established when there is agreement which is legally enforceable and for the establishment of agreement there must be offer followed by acceptance. The present statement requires a brief understanding upon the law of acceptance in order to judge the accuracy of the statement. Thus, in order understand acceptance one must understand the meaning of the agreement as acceptance is the key ingredient of the agreement. A brief conclusion was drawn which justifies the statement made. Thus, the prime question is as what is an agreement? An agreement is said to be in existence when one person gives an offer and the same is accepted by the other person. In Payne v Cave a person was present in auction and placed the bid but withdrew his bid before the fall of hammer or before it being accepted so it was held that his bid was only the offer and he could withdrew it any time before the same was accepted by the acceptor. 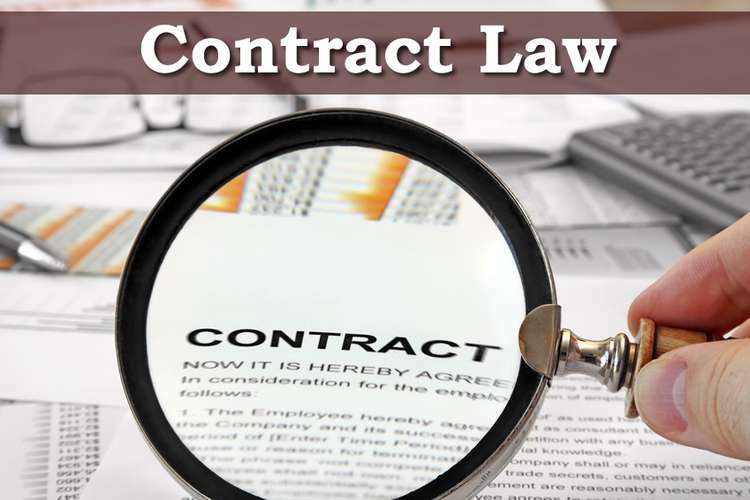 Further, one must differentiate between the contract and an agreement as the contract is also an agreement, But in the case of contract besides the offer and acceptance there are certain other requirements i.e. the parties must be competent having legal capacity to enter into contract, there must be consideration in case of a contract, consent by both the parties and the most important characteristic of the contract which differentiate the contract from the agreement is that a contract is always for a lawful objective. So it concludes that if an agreement is made for unlawful purpose then that does not fall under the preview of a contract. From the above Para it is quite evident that all the agreements are not contracts but all the contracts are agreements. Now after understanding the concept of agreement and the contract now it is important to focus on the given problem which states that there must be acceptance to create the binding agreement and the same must be unconditional. An acceptance is said to be made when the person to whom the offer is made does something which gives the impression of assent than that amounts to the acceptance i.e. through the conduct or accepts orally or in written form the offer given to him by the offer or. For example, as in insurance when the person pays for procuring the insurance policy and pays for the same and the policy is issued to him the offer is said to be accepted. But acceptance can take place when there is an offer and also acceptance must be on the terms on which the offer is being made and if any new terms are suggested by the person who wants to accept the offer then the original offer extinguishes and now this is the counter offer and the same can be accepted by the original offer or with new terms or altered terms. There are many offers and counter offers during the course of negotiations but what matters is the acceptance to the offer made by any party and that constitutes an agreement. There are various features of acceptance which are as follows: . Only when there is an offer the acceptance can be made in response to the offer. The two leading cases that justify the statement made are R v Clarke and Tinn v Hoffman. Acceptance is made when the same is communicated by the person accepting the offer. The two leading cases that justify the statement made are Carlill v Carbolic Smokeball Co& Henthorn v Fraser . An acceptance can be made orally or in writing and also the same can be by way of conduct. The leading case that justify the statement made is Felthouse v Bindley . The acceptance must be proper and clear. The acceptance must match the offer otherwise it will become a counter offer. The person accepting the offer must have the knowledge about the offer. If there is a specific time period for acceptance and the acceptance is not made within such time then the offer is closed. The death of the person making an offer automatically terminate the offer before it is accepted. Thus, these are nothing but general rules of acceptance which helps in establishing as to whether acceptance has been concluded or not. Further, an acceptance may be of various types. Such as an acceptance an be express wherein, this kind of acceptance occurs when the person accepting the offer clearly agrees to the terms of the offer and accepts the same. Further, acceptance can be conditional, wherein, this kind of acceptance occurs when the person to whom the offer is made accepts the offer with some modifications in the original offer and the same is said to be accepted when the counter offer is accepted by the person who made the original offer. It is also termed as qualified acceptance. Yet, another kind of acceptance is implied acceptance, wherein, in this kind of acceptance the acceptance is done by acts or gestures. For example that if somebody goes to supermarket to buy the goods and the same are picked from stand and the person pays for the same in terms of the price marked for them it is this kind of acceptance. One of the most important ingredient of acceptance is that it exists only when there is offer and if any person having no knowledge of the offer does something and claims that he had accepted the offer afterwards but the person was having no knowledge of the offer at the time of performing his part towards acceptance does not constitutes a valid agreement as it is very clear that without an offer there cannot be acceptance. This can be clarified by the leading case law of RV Clarke. It was held that when a person handed over the criminal he did not had the proclamation claiming reward in his mind as the person who claimed the reward had seen the proclamation but it was not in his mind at the time of handing over the criminal as his main motive was to save himself from the charges so it was held by the court that he will not be liable for reward as he had no knowledge of the offer then how can the same be accepted by him. An acceptance must be final and without any conditions or alterations. If the offer is accepted with some alterations then the same amounts to a counter offer and the same if accepted by the original offeror then only it comprises of agreement . The case which justifies the submission is Hyde v wrench . As in this case law the person first made an offer and the other person made a counter offer and again agreed to the offer after making the counter offer but the original offeror then refused from his earlier offer and it was rightly held that once a counter offer is made the original offer disappears and the original offer or is not bound by the offer. Then the counter offer is made by the accepter at the first instance as when the counter offer is made it automatically erases the first offer if not accepted by the original offer or . Thus, an acceptance should match the offer and it would be a copy of the offer then only a valid contract comes into existence. Further in Master v Cameron , it was submitted that any condition which is essential to take place before the offer is accepted and if that condition is not fulfilled than there is no acceptance and thus no agreement. Similar decision took place in Harvela Investments v Royal trust Co & AGC v McWhirter . Now coming to the statement made in the question, it can be submitted that the statement is fully justified as the acceptance must be clear and unconditional for the creation of the binding agreement as if the acceptance will be conditional then it could only create a counter offer and the counter offer may be accepted and may not be accepted by the person making the original offer. As when the person does not accepts the terms of the agreement in totality then, there is a counter offer and if the person making the original offer agrees to the same then a valid contract comes into existence. Once the counter offer is made the original offer stands revoked and the new offer can only be accepted if the person making the original offer accepts the same. If the person who made the offer at first instance does not accepts the counter offer made by the other party then there is no agreement amid the parties. Thus, agreement can only be established with the help of an offer followed by an acceptance which must be final and unconditional. AGC v McWhirter  Sup Ct NSW. Clark J (2013) Australian Contract and Consumer Law. [online]. Available at:http://www.australiancontractlaw.com/ [Accessed on 15th April, 2013]. Clark J (2012) Agreement [online]. Available at:http://www.australiancontractlaw.com/law/formation-agreement.html [Accessed on 15th April, 2013]. Carlill v Carbolic Smokeball Co  Court of Appeal. Elements of Contract (2013) [online]. Available at:http://www.skwirk.com.au/p-c_s-18_u-108_t-288_c-964/elements-of-a-contract/nsw/elements-of-a-contract/consumer-choice/consumer-protection [Accessed on 15th April, 2013]. Formation of contract at common law [online]. Available at:http://www.uio.no/studier/emner/jus/jus/JUR5240/h10/undervisningsmateriale/Formation%20of%20K%20at%20common%20law%20presentation_okt10.pdf [Accessed on 15th April, 2013].